The wizard finally got his mana up enough to teleport the August Newsletter to the Pantheon MMO forums! This month's news letter includes three more class reveals, focusing on the pure casters of Terminus! The Summoner, The Wizard and The Enchanter! In fact, ALL launch classes are up and available for reading and drooling over! Definitely excited for these details and reading about them, it certainly makes choosing one too start with a difficult decision because they all have such cool abilities and spells. 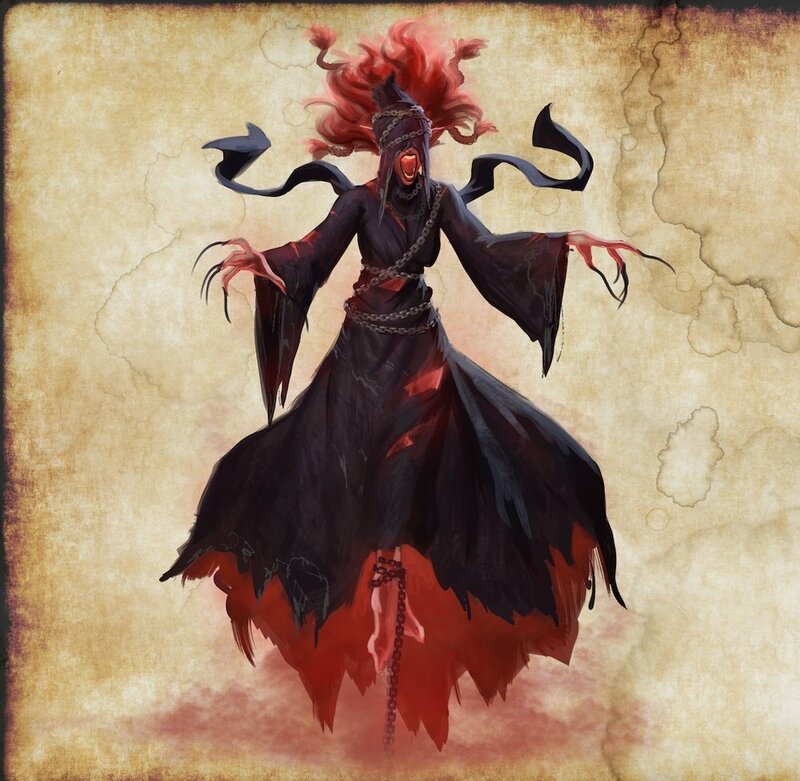 This month's rogue's gallery covers a very cool looking NPC, the Banshee! OF HOWL AND CHAIN. The banshee enters our world in a window of time that mirrors their own heart: the dead of night. In the past banshee portended coming misfortune or death, often in areas close to their own passing and with a mournful keening or wail. But as they’ve grown in power and attained a loose organizational structure, their role shifted from harbinger to assailant. Today banshee use their abilities to sow ruin by their own hand, rather than serving as a sympathetic horn. Next, we are treated with a glimpse into the behind the scenes stuff in the 'Under Wraps' section. This focuses on the Pre-Alpha testing which has been going on with Pre-Alpha 3 sessions currently underway. As mentioned, it’s the first time that testers are experiencing the world in an “as-intended” manner by connecting the zones together. It seems like such a small thing, but it’s surprising how much a simple thing like a zone line can heighten your immersion. The first time I zoned from Thronefast to Avendyr’s Pass by following the road I told Joppa that it was that instant that Pantheon first felt like a world to me. That’s a pretty big moment. Pre-Alpha 3 is discussed, covering what the focus was and then the announcement of what Pre-Alpha 4 will entail is revealed. It looks like things are shaping up nicely and it will include harvesting. PA4 will have all 12 classes implemented up to level 40 and a lot of attention is being given to the combat experience. 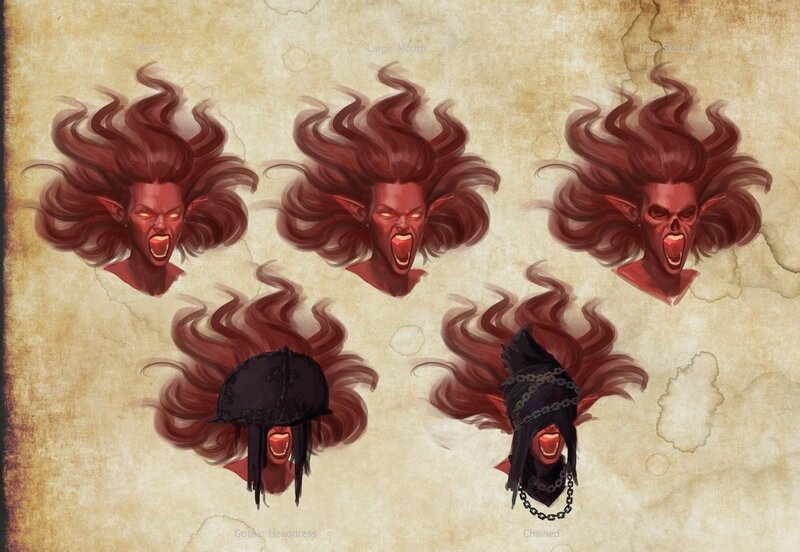 Abilities, spells and skills are being fleshed out and, in some cases, replaced. Every action and interaction are being audited and polished. PA3 testers are already seeing some of this work being reflected in the latest builds. By PA4 testers should see a combat system that is more involved, more intricate, more acutely balanced, more shiny and plainly just more fun. Finally, PA4 will include our first pass at harvesting. Finally it's QA time with Senior Programmer Robert Crane. There is plenty of interesting bits of information to read up on, giving us a glimpse into the team members and the role they play working on Pantheon. What’s been the most interesting part of working on Pantheon so far? I will always have a fond place in my heart for fishing, and while it’s something that is only in its early stages right now, we have big plans to make it even better as the project evolves. I would have to say though that the real innovation is our perception system, which I helped write. We are still discovering different paths to take perception in, to immerse the player even further.